Located along the Tennessee border in northeastern Mississippi, Alcorn County is named for James L. Alcorn, Mississippi’s twenty-eighth governor. 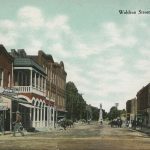 The county was carved out of Tishomingo County in 1870, when it was originally home to 10,431 residents, roughly 75 percent of them white. 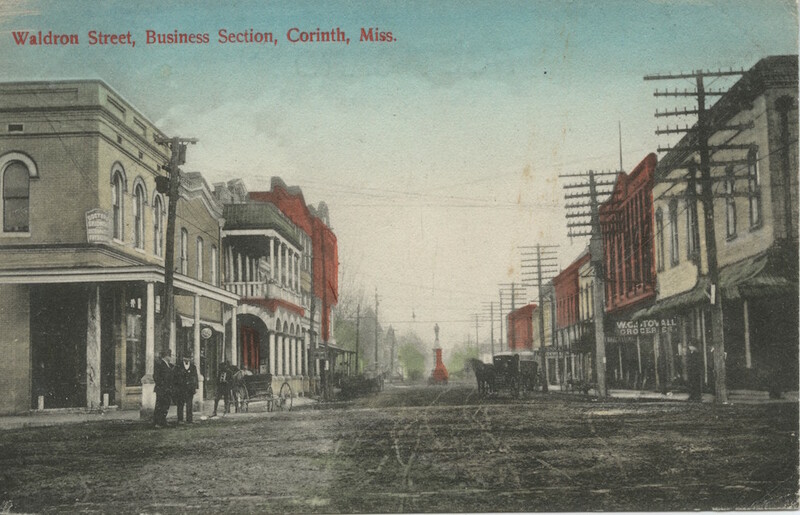 Corinth, which eventually became Alcorn’s county seat, emerged in the 1850s as an important railroad center, making it a strategic site during the Civil War. Two major battles occurred in Corinth, the first in May 1862, after the Battle of Shiloh, and the second in the fall of that year, when fighting broke out between forces helmed by Ulysses S. Grant and those led by Earl Van Dorn. The latter battle left more than eight hundred soldiers dead and the city under Union control. Corinth was also home to a Union camp for escaped slaves and served as a major hospital center for the Confederate wounded. Corinth National Cemetery houses the remains of Civil War soldiers from fifteen states. During Reconstruction some of the earliest known Ku Klux Klan activity took place in what is now Alcorn County. By 1880 the county’s population had increased to 14,272, with whites now comprising only 69 percent of the total. As in most of northeastern Mississippi, Alcorn County’s farms were relatively small and mostly cultivated by their owners. In 1880 Alcorn ranked high among Mississippi counties in livestock and tobacco production, while corn and wheat output remained average and cotton production low. Although Alcorn had sixty-five manufacturing firms at this time, most were fairly small, and the county’s industrial sector employed only 130 men and 9 women. 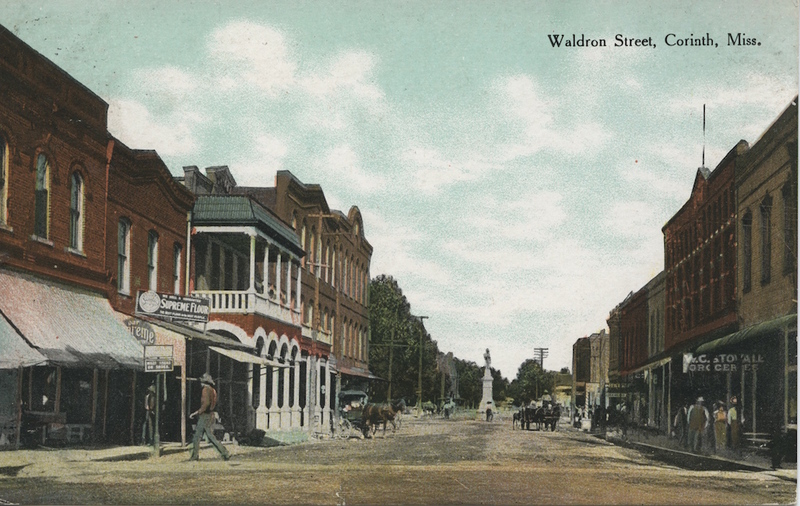 Whitfield Manufacturing was Alcorn’s first textile factory. Alcorn has a unique early history with regard to women in academia. Born in 1850 in what became Alcorn, Modena Lowrey Berry had an extraordinary career as an administrator at Tippah County’s Blue Mountain College from 1873 to 1934. Her father, educator and Confederate general Mark Perrin Lowrey, had helped establish Blue Mountain in 1873. Corona College, one of the South’s first higher education institutions open to women, opened in Corinth in 1857. In the early twentieth century Alcorn experienced significant growth. By 1910 the county’s population had reached 18,159. Despite the predominance of small farms, Alcorn ranked among the top third of Mississippi’s counties in average farm size. Most of Alcorn’s agricultural lots were plantations that had been subdivided into farms averaging about one hundred acres each. During this era more than half of Alcorn’s white farmers could claim ownership of their land, while only a small percentage of black farmers were landholders. 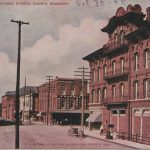 By 1900 Alcorn County had sixty-six manufacturing establishments, employing 455 men, 126 women, and 17 children. The 1916 religious census showed that the largest denominations in Alcorn were the Methodist Episcopal Church, South; the Southern Baptist Convention; and the Missionary Baptists. The Colored Methodist Episcopal Church and the Churches of Christ had significant congregations as well. 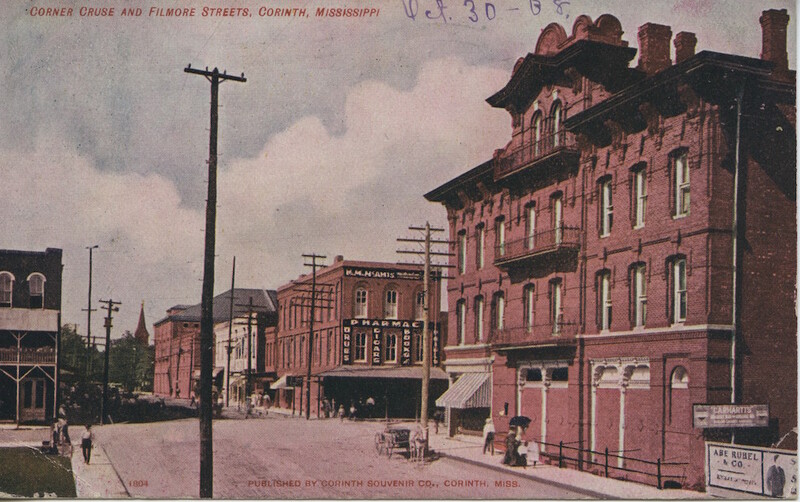 Corinth and its surrounding areas have been home to a number of notable individuals. Authors Thomas Hal Phillips and Etheridge Knight were born there in 1922 and 1931, respectively. Phillips set many of his novels in southern locations. The Bitterweed Path, his first book, dealt more directly with homosexuality than most fiction of the era. Knight suffused his work with African American vernacular, eventually becoming an important figure in the Black Arts movement of the 1970s. Corinth also produced two notable figures associated with aviation. Born in 1909, cartoonist Russell Keaton drew the Flyin’ Jenny comic strip from 1939 to 1945. And popular stunt pilot Roscoe Turner, for whom Alcorn’s airport is named, was born outside Corinth in 1895. By 1930 the county’s population had grown to 23,653. While a high percentage of Alcorn’s land was still cultivated, average farm size had decreased to roughly fifty acres per lot. 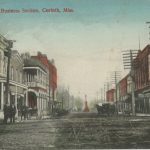 Corinth was a growing town of 5,500 people, and the county had more than 700 people working in industry. In 1934 Alcorn County became the home of the nation’s first rural electrical cooperative. Corinth’s Depression-era residents are reputed to have developed the “slugburger,” a five-cent hamburger made affordable through the addition of cheaper, nonmeat ingredients. Corinth now hosts the annual Slugburger Festival. In 1960 Alcorn had a population of 25,282, 87 percent of them white. The county’s farmers continued to focus on corn, ranking seventh in the state in its production. Alcorn’s manufacturing and agricultural workforces were almost equal in size, both employing more than 2,000 people. Women working in garment factories comprised a substantial proportion of the county’s labor pool. Twenty years later, however, the county experienced a significant labor shift: by 1980 Alcorn’s industrial sector employed 6,860 people, the fourth-highest number of industrial workers in the state, while fewer than 200 people worked full time in agriculture. Alcorn’s population increased by about 47 percent between 1960 and 2010, reaching 37,057 in that year. Like many of northeastern Mississippi’s counties, Alcorn’s population was predominantly white, with small but significant African American and Latino minorities.